“Madiba the Musical”… “We want people to see the serious side, but to leave on an upbeat note”, says Perci Moeketsi. WHEN an uplifting musical about the late Nelson Mandela arrives at the Canberra Theatre later this month, the audience may well be jumping with joy. 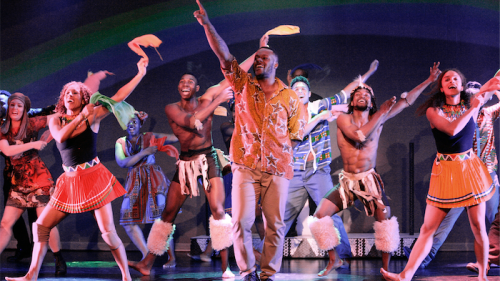 For “Madiba the Musical” has a heart-warming message of renewal as its basis. When “CityNews” catches up with South African actor Perci Moeketsi, who plays Mandela, we meet a courteous smooth talker, well-equipped to take on the role of the Xhosa aristocrat (“Madiba” was his Xhosa clan name) who became one of the world’s most admired men and a Nobel Peace Prize laureate. Gentlemanly to the core, even on the notorious Robben Island, Mandela sometimes irritated supporters by his apparently conciliatory manner. Underneath there was a steely determination that resulted in the formation of the Rainbow Nation, the new South Africa. South African actor Perci Moeketsi, who plays Mandela in “Madiba the Musical”. “In the musical, we see Mandela’s early career as a lawyer struggling against injustice when he was called the ‘Black Pimpernel’ and the way he was caught and taken to Robben Island,” Moeketsi says. Act 2 covers Mandela’s 27 years in prison through to the presidency in 1994. “It’s a great dramatic story about conquering evil and winning,” he says. A veteran actor who once played the lead in a township version of “Romeo and Juliet”, he has also performed with the South African State Theatre and in shows such as “Aladdin” and “Beauty and the Beast”. Moeketsi asserts that musicals can deal with serious matters, so long as there is modern comic relief among the singing, dancing and above all, the music. “Music is in the heart of the people,” he says of his countrymen. “The important thing is to get the mix right… we want people to see the serious side, but to leave on an upbeat note,” he says. Part of the serious action in the Robben Island scenes involves a fictional character played by a well-known former Canberra identity, Tim “Timomatic” Omaji. Timomatic (his hip-hop name) came to Australia from Nigeria with his family at age 10 months, cut his teeth in music and theatre with the Canberra hip-hop group Kulture Break, then studied at Narrabundah College and briefly at the University of Canberra before heading for big-city fame and fortune, later playing Tyrone in “Fame the Musical” and competing in both “So You Think You Can Dance” and “Australia’s Got Talent”. His family has since moved back to Africa, but he still has close friends in Canberra and in July played a sell-out show to a home crowd at The Street Theatre. 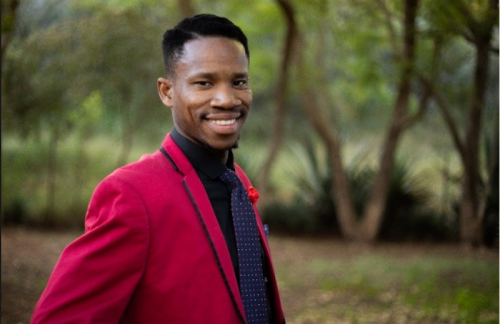 His role as Sam Onatou, an interesting character who acts as a kind of foil for Mandela, is a big break for him and a dramatic change from his time on reality TV. “Sam is an activist who meets Mandela on Robben Island,” Timomatic tells “CityNews”. “He’s an activist, he’s excited and wants to fight the oppressive power but through meeting Mandela he discovers that violence is not the answer, this is the real journey in the musical. “Mabida the Musical”, Canberra Theatre, November 22-24. 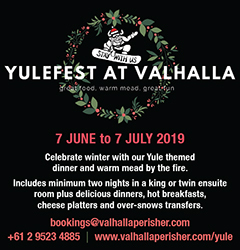 Book at 6275 2700.